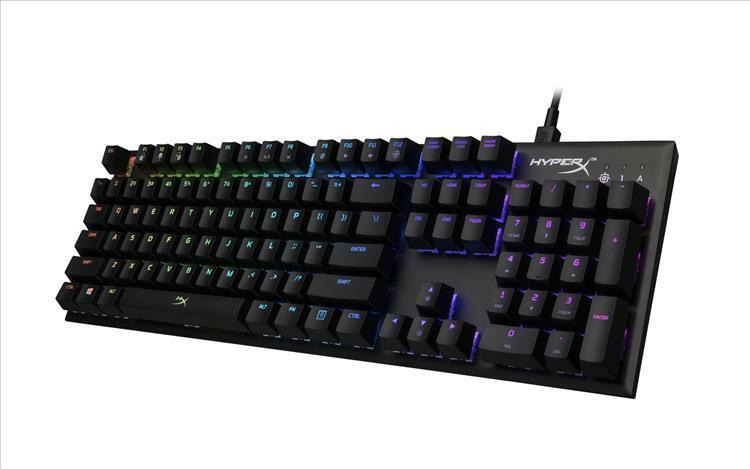 HyperX has another addition to its line of high-end gaming keyboards: the Alloy FPS RGB Mechanical Gaming Keyboard. Featuring Kailh Silver Speed mechanical switches beneath each key—rated for 70 million presses—the Alloy FPS RGB is designed to be fast, responsive, and tactile. It definitely looks good; can't really deny that. I'm hoping that NGenuity sees some major updates in the months to come, because there's nothing that kills an RGB keyboard faster than a program that makes it hard to customize the RGB lighting. However, given the integrity and quality of HyperX's products as a whole, I'm sure that this new keyboard ranks right up there with the rest of them. The Alloy FPS RGB is available on HyperX's website for $109.99 USD.